Indulgent vanilla ice cream with vanilla pods, milk (whole), skimmed milk powder, egg yolk(s) (free range), unrefined golden caster sugar. 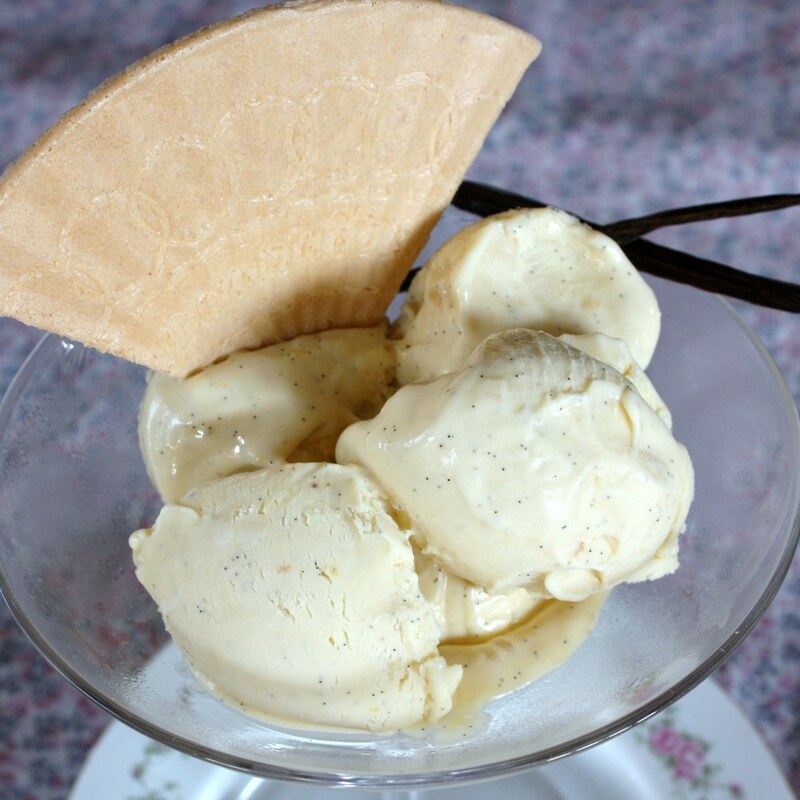 To make this indulgent vanilla ice cream for 1 persons you will need 45 mins for preparation and for baking. Step 1Place egg yolks into a bowl. Slit the vanilla pod open with a knife and scrape out the seeds and add to the yolks. Step 2Pour the milk into a large pan, add the empty vanilla pod, skimmed milk powder and 2 teaspoons of the sugar. Step 3Bring to the boil, then turn the heat down and simmer for 5 minutes. Take off the heat, cover and leave for 20 minutes to infuse. Remove the vanilla pod. Step 4Add the rest of the sugar to the egg yolks and whisk with an electric whisk until pale and thick. Step 5Pour the egg/sugar mixture over the milk mixture, beating all the time, ensuring it is well mixed. Heat slowly, stirring continuously, until the custard thickens. Be careful not to boil as you will scramble the egg! Step 6Take off the heat and cool. Chill in the fridge for 3-4 hours. Step 7Churn in an ice cream maker until frozen OR pour into a container and place in the freezer, mixing a couple of times an hour until frozen.